There are a number of CFD brokers out there in the market. However, identifying the best brokers for online CFD trading is not an easy task, especially if you are a beginner trader. Our aim is to help you choose the best CFD broker, but prior to that, it is important that you have a clear understanding about CFD trading. So, here is some in-depth information about CFDs. CFD or Contract-for-Difference can be considered as a contract between entered into by two parties, for example, the buyer and seller of the contract for exchanging the difference of a particular asset’s current price and price at contract expiration time. The difference in price is settled through cash payments instead of physical delivery. In the case of futures contracts, the asset is delivered physically on contract maturation. When it comes to CFDs, there is only cash delivery. Physical delivery of assets is not involved. It is possible to trade CFDs in both directions. Traders can go long if they feel that the price of the asset expiry will be higher compared to the price at the time of opening the contract. Otherwise, they can go short, meaning they expect the price to fall at maturation from the initial price. All asset classes traded in the financial markets around the world are available for trading as CFDs. They include the currencies, commodities, indexes, and stocks, among others. The working of CFD trading is best explained through an example. Imagine that a trader having a USD 50,000 account is interested in going short on crude oil CFD at USD 54.20. The broker offers a leverage of 1:50. 1. The trader may wait for 1 to 3 month until the expiration of the contract. If the crude oil price falls, the trader will get the difference in pips multiplied by the tick value (USD 10 per pip in the case of Standard Lot) as the profit. The trade will automatically be closed at maturation. 2. Or else, the trader may manually close the contract as and when the trade moves into profit. The gain is calculated as above. CFD brokers are of two types: Market makers and Direct Market Access (DMA) or (STP/ECN) brokers. Market makers buy large positions from the providers of liquidity and offer them to retail traders. They match selling assets with buy orders and buying positions with sell orders. The transactions are handled through a dealing desk. Market makers act as counterparties to trades. They accept small deposits into clients’ accounts because they know how to make up the deficit in liquidity. They often trade against their clients. DMA brokers enable traders to obtain pricing from liquidity providers without any kind of intervention. DMA often ask for higher account deposits. This is because they do not bridge liquidity gaps. There are two types of DMA brokers: Straight Through Processing (STP) and Electronic Communication Network (ECN) brokers. STP brokers pass the trades on to third-party liquidity providers. They act as the conduit between the parties. Positions opened on ECN platforms automatically go through the computer system of the broker to an Electronic Communication Network. No dealing desk will be involved. Regulation: This is an important aspect to be considered. It is important to maintain investor confidence, ensure a fair deal to traders, and provide everyone with a level playing field. Further, regulators arbitrate if traders file complaints against the broker. Regulated brokers have to comply with the regulator’s stipulations as regards capital adequacy, maintenance of segregated accounts, basic infrastructural requirements, submission of audited financial reports, etc. CFD trading platforms software: Traders must choose a broker only if the platform offered by them is easy to use. 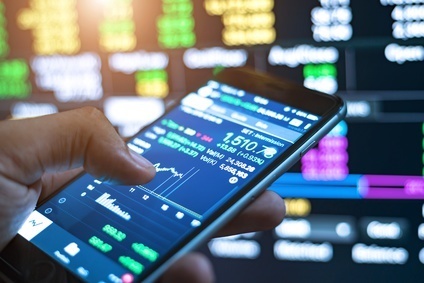 There are two categories of CFD platforms: proprietary platforms (developed in-house by the broker) and non-proprietary platforms such as MetaTrader 4 and MetaTrader 5 provided by MetaQuotes. Types of CFD trading accounts: You must choose a CFD broker that offers the account type that best suits your needs. The different types of accounts offered by CFD brokers include the Micro Account (minimum deposit of USD 50 to 100), Mini Account (minimum deposit of USD 500), Standard Account (minimum deposit USD 1,000 or more), and VIP Account (minimum deposit of USD 20,000 or more). Spreads and Commissions: Market makers earn money by offering spreads, but may charge commissions on crude oil, spot metals, etc. DMA brokers often collect commissions on all trades, opening and closing trades. The face of any broker is their customer service department. Typically, the brokers offer multiple ways to contact their customer service representatives. The options often include telephone, live chat, email, and even fax. Some companies request customers to visit their office. This shows that it is a transparent company. Reliable brokers offer 24 hours customer support services for at least 5 days in a week. This is because the markets remain open for 24 hours throughout the trading week. Therefore, the broker should make someone available for customer support. Further, good support has to be judged on the basis of the response time. Ideally, traders should be able to access the customer service department of the CFD broker through a local call. Moreover, the broker you choose should be providing customer support in a language of your choice. Traders should also check out, prior to choosing CFD brokers, whether they are offering additional features such as market analysis, educational tools, earnings reports, trading tools, charting software, economic calendar, and signal services. In conclusion, it is important to consider all of the factors discussed above to understand CFD trading and choose the best brokers.